I spend way too much time making, finding, and passing out homemade spinners and dice... I use them for reading, writing, and math primarily. So I have been looking for an app that could replace all of those homemade spinners, and dice I have in my room. They are handy for word games, math games, and writing practice, but finding the right ones at the right time, storing, and making new ones is a pain. I do it frequently as the words/numbers/shapes... kids are working on changes frequently. One game is to spin, say and write the word, continue doing that until one word wins. I give the kids a piece of graph paper with the words across the bottom. They can play as a group or individually (great for differentiation). For numbers, kids roll or spin then name and write the number, again on graph paper. Or, have them spin/roll and then circle the word in a reader, magazine, newspaper, or on the board.For easy bingo games, have kids choose numbers or words from the spinner and write them anywhere on their bingo cards. Then choose a kid to be the spinner/caller. With the Decide Now! 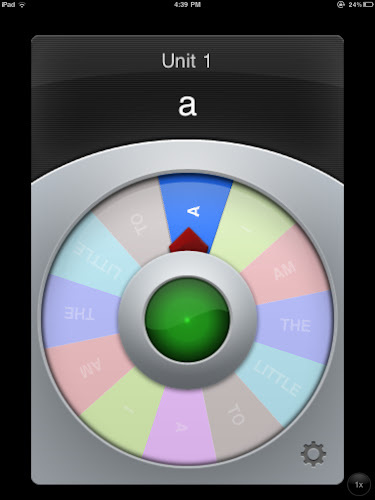 app, you can input up to 22 words and have them visible as they spin. 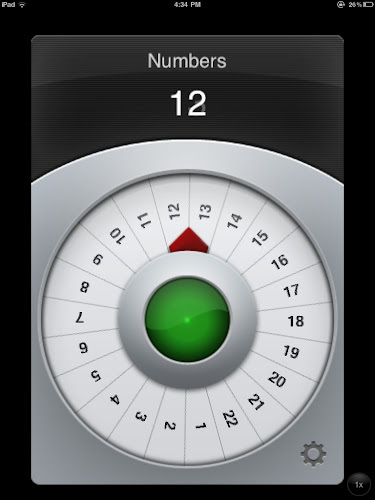 I added up to 35, it probably could go higher- and the spinner shows the color, but not the word while it spins. It does display it on the top when it stops spinning. I've been using the spinner on my Mimio IWB, but Decide Now! Is so much easier, and, can be easily used for differentiating learning. Try out the lite version for free or purchase the full app if you like it. I tested the full app when its price was reduced to free... I would recommend it to any teacher who makes their own dice and spinners. Another app to try is Make Dice Lite, I believe the full version is $.99, but I can't recommend either version wholeheartedly... The lite version has ads and isn't as customizable as it could be, specifically I would want to delete their pre made dice. I have not bought the full version. I would use the Decide Now! 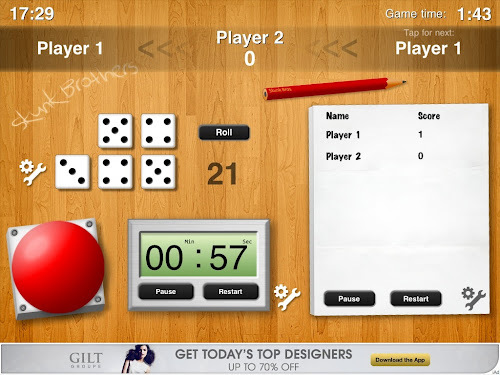 app over Make Dice Lite unquestionably. For various games you might try Game Tools. It does have ads, but on my class iPads I usually have the Internet off or web sense requires a login and I don't log it in, so the adds don't show. It lets you pick up to 6 dice, use a timer, keep track of score, and has a beeeep for when time is up. I found a dice app yesterday, Decision Dice, that while a little buggy, is simple enough that it could be great for dice activities. You can edit the words on up to 2 dice. I would like to see them add dots too, and to be able to save your word lists. Hopefully the bugs will be worked out soon, if so, I'll be using this for my roll the word games.